HAIL, CAESAR! OPENED ON THE 5th FEBRUARY AND IN MALAYSIA ON THE 18th OF FEBRUARY. FOR EVERYWHERE ELSE CHECK HERE. 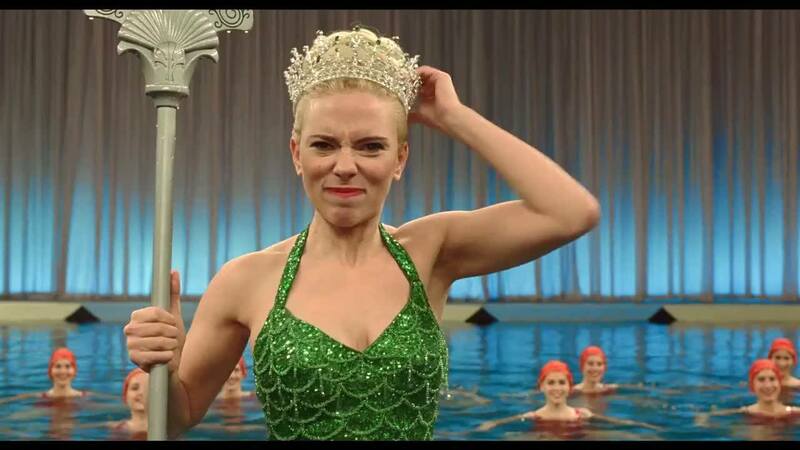 Okay, so I came by tickets for Hail, Caesar! and the Jennifer Lawrence film Joy for the same day. 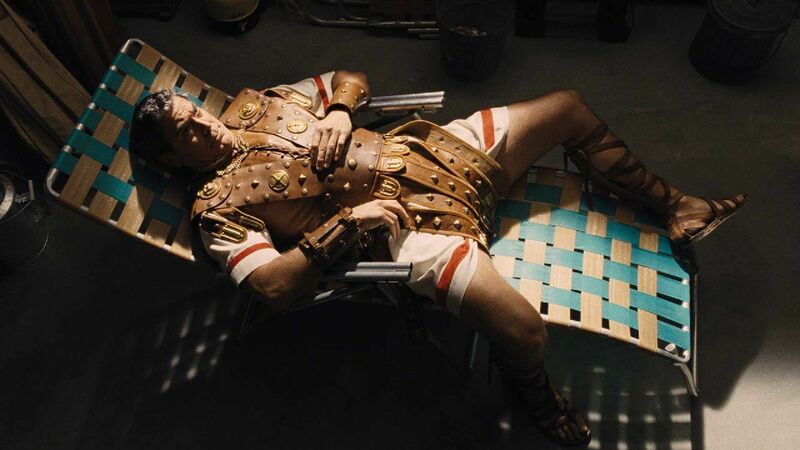 Since I am a fan of the Coen Brothers I of course opted to watch their film instead. I wasn't entirely disappointed. The project was first announced in mid 2004 and it was to be the final part to the "Numbskull Trilogy" which would feature George Clooney, the other two being O Brother, Where Art Thou? (2000) and Intolerable Cruelty (2003). It was also supposed to be about a bunch of actors in the midst of putting on a play about ancient Rome with the focus being on the play's main star. 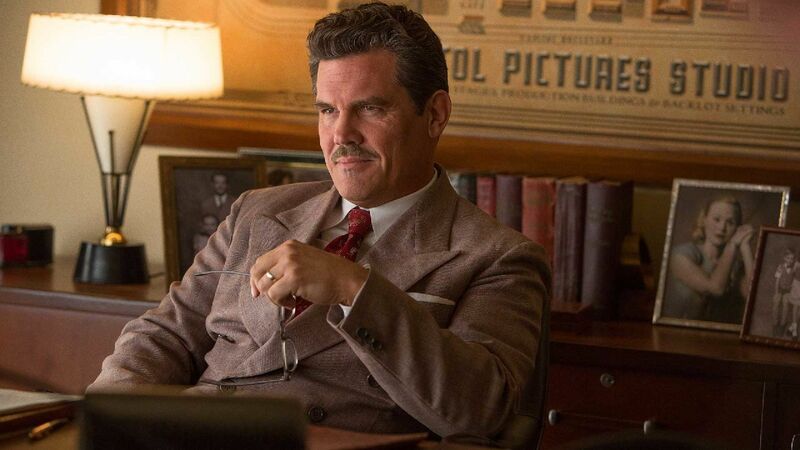 Time passed and the idea changed to be about a Hollywood 'fixer' named Eddie Mannix whom we follow as things get chaotic at his studio, Capitol Pictures Productions. Although Hail, Caesar is a work of fiction there are a lot of references to actual people. For example Eddie Mannix was an actual person who worked for MGM and of course the characters played by George Clooney, Baird Whitlock was based on Kirk Douglas; Scarlett Johansson's character DeeAnna Moran was based on Esther Williams, while Hobie Doyle played by Alden Ehrenreich is based on Kirby Grant, there are others too. The locations too where chosen to reflect the look and feel of the era. And then there's the costume, which costume designer Mary Zophres worked on 12 weeks before shooting started going through archival photographs, footage and movies from the era to get the right look. It was even shot on film as opposed to on a digital format and then treated to look somewhere in between what was achieved back in the 50's and what we have now. A lot of effort went into the making of this film. So much goes on in this film and there are so many actors in it that it was just fun trying to keep up. But with everything going on on screen and in the story some things suffered. So here's a list of what I like and a short one of what I didn't. The story. Unique and fun. Loved revisiting old Hollywood and learning a little about how 'things' worked. Loved the performance of all the leads or should I say those that had a decent amount of screen time. 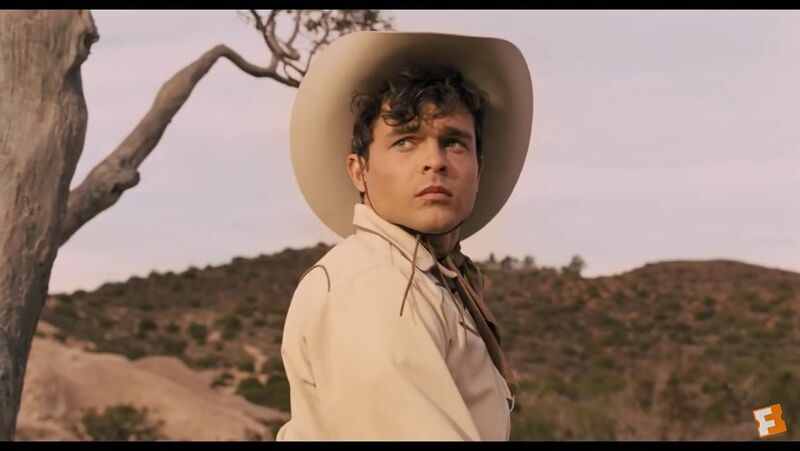 Josh Brolin, George Clooney, Alden Ehrenreich, Ralph Fiennes, Scarlett Johansson and Tilda Swinton among them. Loved the cameos with actors whom I haven't seen in a while like Fisher Stevens, David Krumholtz, Robert Picardo, Christopher Lambert and Wayne Knight. Loved the details in the production from the sets to the backdrop to how they copied the look of background matte paintings to miniatures to the moving background in driving scenes. The editing. Beautifully paced. Each scene followed by the next so fluidly that the film just flew by. Didn't feel like two hours at all. The story. With so much going on and with just so much time to play with I felt the story was incomplete. Too abrupt. Too many themes and things going on at the same time. Things that deserved more time. Too many actors who were brilliant but just couldn't really shine because they had such short screen times. For example scenes with Ralph Fiennes or Tilda Swinton or even Channing Tatum not to mention Scarlett Johansson's character. Hail, Caesar! has so much potential but it was ultimately let down by that very potential I think. It got too big for it's own good. Maybe they should have gone with their original idea or maybe they could have pared down the story a bit. Focus on fewer things. But I guess with all those big names on board and having such an ensemble cast working on something that sounds like a lot of fun things got a little out of hand. 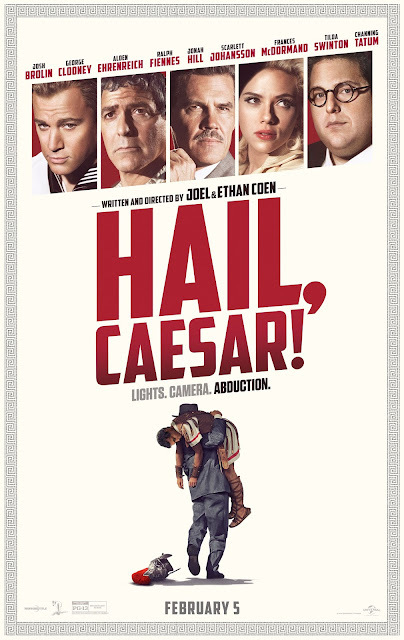 Honestly I loved the film but this has to be the most unsatisfactory movie the Coen Brothers have come up with. It is a beautiful film and it's a fitting tribute to the era with brilliant performances by the cast but at the end you walk away thinking there could and should be more, that something is missing. So as much as I loved it I can't give it a high rating, so I'm giving it a 3.7 out of 5. BIG THANKS TO BFM RADIO AND UIP MALAYSIA FOR THE PREVIEW PASSES! nice post for movie reviews. awesome.